It feels so good to be back!! Happy Monday, beauties - I hope your weekend was beyond stellar and oh-so-relaxing. Hubs and I sort of putzed around the house, saw friends, nested a bit (I'm obsessed! ), and just enjoyed being together and our new home. You would be so proud of me, be-tee-dub... I took SO many photos to document. I can't find my camera cord to save my life. BUT, I have SO many great things coming atcha this week, so stay tuned, okay? If it's your first time stopping by for Mingle Monday, let me just extend a warm and fuzzy welcome your way. I hope you find lots of great new blogs to keep up with and followers to boot! For my Mingle veterans, thanks for being here and for being you. Y'all make my whole day... happy mingling! ...in advance for spreading the word! Blog post, Twitter, smoke signals... you name it, I love it! The more this continues to grow, the greater your chances to gain some wonderful new followers and find great blogs! I love our dog, but sometimes it feels like having another child! We can leave the kitty home alone for a couple days if we want to head out, and is overall easier to care for. Plus, a 70lb Border Collie isn't exactly a snuggling dog. :) But he's my companion and always has my back. I love them both, but for different reasons. DOGS! no cats...none at all, no way. I love dogs' big personalities...and I'm allergic to cats so that's an additional reason that they're awful. Dogs! Growing up we had both cats and dogs..but I'm definitely partial to dogs. Our Dudley makes us laugh every day! Eh, is neither an answer? I'd pick "dog", but I've never actually had a pet and I'm okay with it. I think we are going to get a dog when we move next month (our rental doesn't allow it now). I'm def a dog lover, probably because I'm allergic to cats haha. Thanks for link-up. Found ya on LIY, and new GFC follower! Definitely a dog person! Kittens are cute, but cats... I just don't get it. Maybe it's because I grew up with dogs and not cats. Whatever the case, I love pups!! Mini dachshunds are my favorite! Dogs for sure! They have so much personality and energy...plus they are just ADORABLE! I am a cat person. I've never had a dog and to be honest, some larger dogs scare me. I love how cats can be on their own, you don't have to let them out, you can leave a bowl of water and food and go on vacation and not worry about them. Definitely cats. Sounds like a lovely weekend! It's nice to relax and do things around the home. I am definitely a dog person - we have 2! DOG =) I don't know why I just love them! Neither for me! I'm not an animal person! I love both doggies and kitties. dogs - they're so family oriented and not selfish at all! Dogs > Cats. I love how dogs love your attention and always want to snuggle! PUPPIES!!!!!!! I've only met a few cats that I've liked. Dogs are so friendly and happy and just want to be your friend. I love dogs so much I wrote a whole college essay on why nobody should like cats..you could say I'm biased, but I'm also super allergic to cats so maybe that's why! I am both! I love dogs a little bit more than cats though. I just love coming home to my little tail wagger's! I love them both, but I'm sadly allergic to cats :( BUMMER! I am, like my sister (Jessica above) a bird person (particularly ducks), but dogs are where I lean towards favoring. I can't believe this happens to be the question for the day, there's so much irony in it. I am a dog person. Funny you should ask about this question! I am neither! I am afraid of both and I do in home mental health work and I am constantly asking clients to put their pets away for the hour I am there. lol! They're nice about it..
ps. Congrats on the wedding! xo! More of a dog person, but I love cats too! I am a dog and cat person...But, the cat tends to decide when we can pet, or pay attention to her, and the puppy is like a toddler that requires full attention. I am such a dog person! I have 2 labs that I treat better than I do most people. Hmmm, I don't have either but I lean towards dogs, the minpin, specifically. But I really think I'm cat person. Go figure! I really don't care. I grew up with both but having a son with pet allergies I tend to cringe at the thought of him getting close. Yet he loves them all. 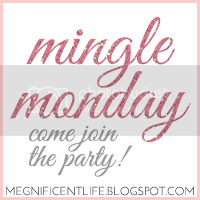 Fairly New to Mingling... enjoying!